Deliciously Indulgent – the perfect Indulgent gift. 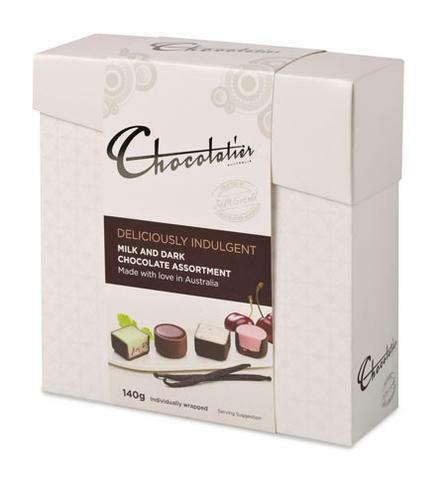 Premium chocolates from the Chocolatier range, made with love in Australia since 1985. Each individually wrapped chocolate assortment contains Mudcake, Coffee and Cream, Cookie Crumble, Minitilicious and Cherry Coconut.